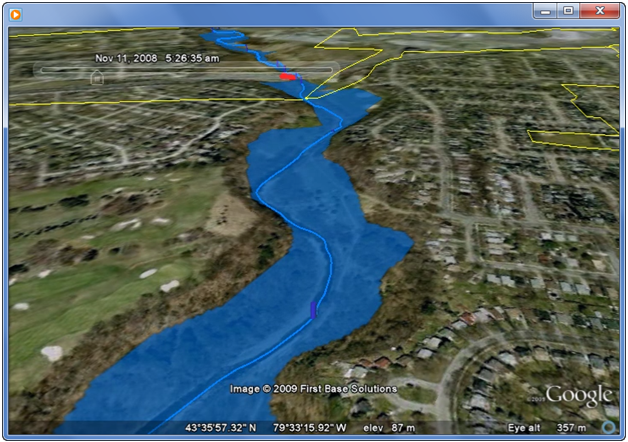 This video demonstrates the 2D capabilities of PCSWMM in an urban setting. In this demonstration a flood vulnerable assets building layer is used as an obstruction layer. As well a sound barrier with partial flap gates are modeled to show how the overland flow is influenced by the barrier. PCSWMM 2011 2D gives engineers an innovative, easy-to-use and scalable approach to modeling urban and rural surface flooding. By providing a completely integrated 1D and 2D solution, PCSWMM 2011 2D combines sewer flow and surface flow modeling in one seamless package, with fully dynamic interaction between subsurface pipes, open channels and overland flood flow. 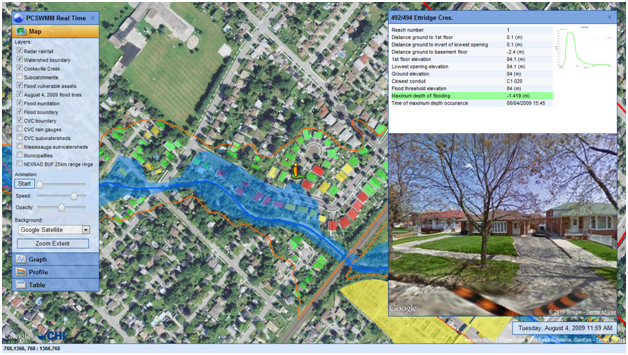 Bringing PCSWMM's ease-of-use and scalable GIS-based approach to 2D surface modeling, engineers increase their return on investment and improve the accuracy, resolution and presentation of flood event analysis. Supports 1D channel/pipe modeling, dual-drainage modeling, 2D surface modeling, or any combination of these flow types.